“When I was a kid growing up, I was the weird one in school,” he said. “The rest of my friends and everybody back in elementary school, they were all singing Backstreet Boys and ‘N Sync. That wasn’t me.” “One of the biggest guys I listened to growing up, and the guy that probably had the biggest influence to me, was the King of Rock ‘n’ Roll himself, Mr. Elvis Presley, and I didn’t want to come here tonight without singing y’all an Elvis song” he said. Performing Elvis’s 1954 song, “That’s All Right (Mama),” it “brings Elvis” to the stage …the voice, the characteristics of the “King’s” movements…It was truly deja vu. 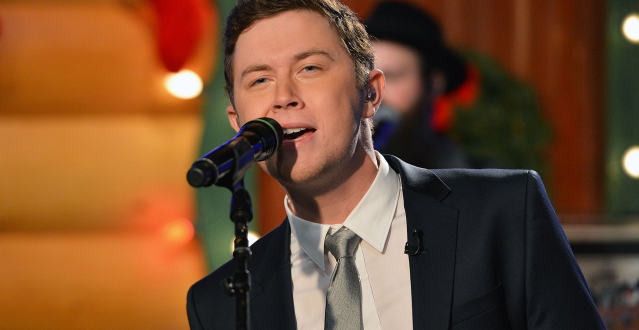 Scotty sang “That’s All Right (Mama)” on a 2011 episode of “American Idol,”and won that year! Listen below! Close your eyes and imagine Elvis is in the house….! Previous What Is Leadership Music?